New Delhi, January 17, 2017: DSP BlackRock Investment Managers Pvt. Ltd, one of India’s premier asset management companies, today announced that Kalpen Parekh has been appointed Joint President. He will be responsible for overseeing functions such as Sales, Marketing, Operations, Human Resources and Risk & Quantitative Analysis, while leading International Sales. S Naganath will continue to be the President and CIO of the firm. Mr. Parekh brings in over 19 years of experience in sales across client segments, distribution and marketing. 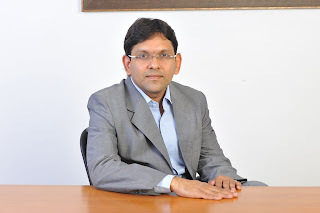 He was previously Managing Director and Head of Sales & Marketing at IDFC Mutual Fund. He has also served in Birla Sun Life Asset Management Company Limited and ICICI Prudential Asset Management Company Limited after beginning his career with L&T Finance Ltd.
Mr. Parekh holds a Master's Degree in Management Studies in Finance from the Narsee Monjee Institute of Management Studies, as well as a Bachelor's Degree in Chemical Engineering from Bharati Vidyapeeth, Pune.